So, you’ve decided to create an ecommerce website and you’re wondering where to start. If you take the time to research the essentials of creating a great ecommerce website, you’ll find the process to be relatively simple. What is an ecommerce website? Shopify, one of the leading providers of online shopping platforms defines ecommerce as the buying and selling of goods or services using the internet, and the transfer of money and data to execute these transactions. While ecommerce is often used to refer to the sale of physical products online, it can also describe any kind of commercial transaction that is facilitated through the internet. 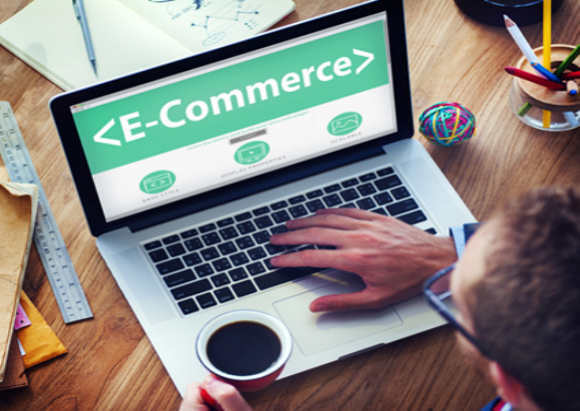 Whereas e-business refers to all aspects of operating an online business, ecommerce refers specifically to the transaction of goods and services. An ecommerce website is the tool used to facilitate these transactions. To really succeed at ecommerce, you need to choose the right platform. Okay, so if you’re really handy with coding and have all the time in the world, I suppose you could create your own ecommerce solution, but that’s probably not what you’re looking for. So, before you create your ecommerce website, you need to pick an ecommerce platform. The good news is, there are a lot of ecommerce platforms out there. The bad news is, lots of options can make it hard to figure out which platform is right for your needs. If you’ve already started looking into your options, you’ve probably seen firsthand how many different features you have to choose from. Shopify stands as the most user-friendly option, which is why so many turn to them for their hosting needs. When it comes to picking an ecommerce platform, the first thing you’ll probably ask is, “How much is this going to cost me?” After all, many ecommerce businesses take a little while to start producing meaningful profit. It can be a bit scary to spend a lot of money on an ecommerce platform with no assurance of revenue. Despite some being free, you’ll get what you pay for – or don’t pay for. If you’re planning on having a large online inventory, you’ll want one capable of scaling with your business as it grows. You’ll also want to find a host capable of handling the demands of large amounts of traffic with ease. If your store takes off, you’ll be grateful that you decided to start with a paid plan instead of a basic free one. If you’re new to ecommerce, ease of use is probably a big priority. Having an abundance of features is great, but they won’t mean much if you don’t have the knowledge and expertise to use them. Fortunately, most ecommerce platforms are fairly easy to use, and the best ones come with a setup wizard to walk you through the process of setting up your store. However, creating your first store isn’t the only ease of use factor to consider. Once your store is set up, there’s a lot to stay on top of or optimize. How an ecommerce platform manages your inventory and the design functionality options it offers all play a role in how easy a platform is to use in the long run. All of these little tips and tricks are easy to pick up on as you learn the ins and outs of ecommerce website creation and customization. In the end, knowing your customer base and working towards serving them in the best way possible makes a great website, not any special frills. Know this, and you’ll also know ecommerce success.